The marketing world has changed dramatically in recent years and Google AdWords is now one of the most effective methods of paid online advertising available. 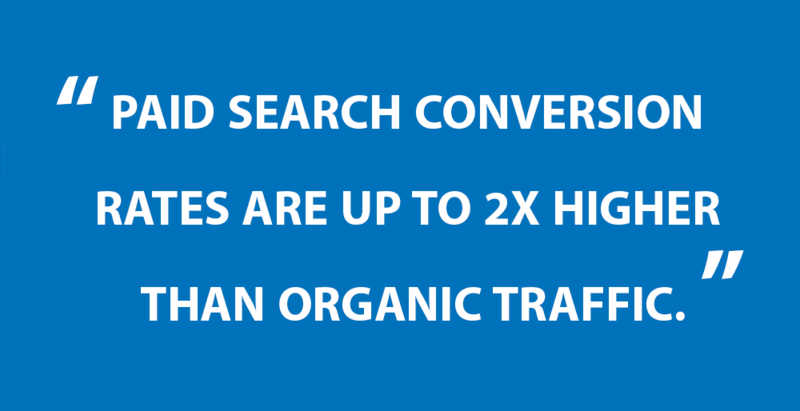 If you’re not generating paid search traffic with sites like Google, your business is falling behind your competitors. If you're just getting started or are thinking about running a campaign, AdWords can be overwhelming and managing an AdWords account is complex. But our trained and Google certified marketing team will give you peace of mind so you can focus on the business generated by Google AdWords. About 30% of NZ businesses use Google Adwords. This is because, to most people, Google AdWords is a very complex platform to use. Small to medium sized businesses are less likely to outsource their online advertising, yet about 60% do not have success for lots of reasons: most businesses do not know how to use Google AdWords effectively, how to generate consistent results, or how to measure ad campaigns accurately. Learn how Cre8ive more than doubled a client's revenue in our Google AdWords case study. 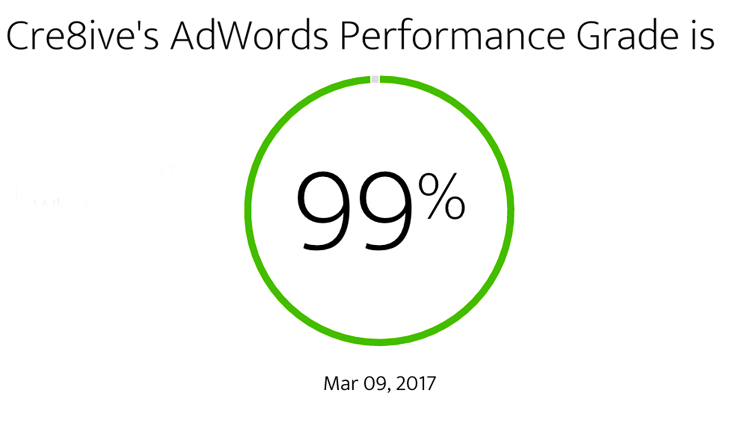 We have a proven track record with managing Google AdWord accounts shown above where Cre8ive achieved 99% for one of our clients in the WordStream AdWords Performance Grader. We are delighted with this result especially considering the average is only 30%. What can Cre8ive do for my business? Our Google Adwords Management saves you time, increases your sales and minimises wasted money on pay-per-click adverts. At Cre8ive, we recommend a minimum 6 month contract however, we can work on shorter contracts including holiday or special occasion campaigns. Additionally, we can assist you with creating, monitoring and improving your landing pages. Pay-Per-Click (PPC) is now the most common type of online advertising, which drives targeted traffic to your website for a fee. The fee is generally based on a per-click (CPC) basis. The most notable PPC provider is Google AdWords. When a person searches for keywords specific to your business, your site will rank high in the paid advertising section of Google. This means visitors searching for your products or services can easily find your business, resulting in a marked increase in targeted traffic to your site – people who are interested in purchasing what you have to offer – immediately. Google AdWords is much more than picking a few keywords, writing an ad and leaving it alone. It requires marketing savvy in choosing the right search terms, having the right ad group mix, writing the right ad messages, choosing the right geographic locations to target, and linking to the right landing page. As each business is unique, you’ll need your own customised AdWords plan. Get in touch with us today for your free estimate.